It's blue. What else matters? 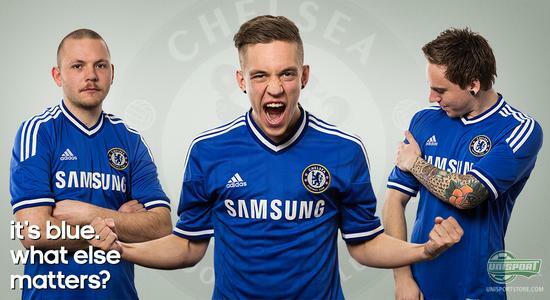 That has been Adidas campaign leading up until the release of the new Chelsea home kit. Many Chelsea fans have already ordered the shirt before even seeing it, which only proves their commitment and support for the club. They can now see the end result, as it has been unveiled by Chelsea and Adidas and they will not be disappointed. It's blue. What else matters? This was the message from Chelsea and Adidas, when they kicked off the launch of the London clubs new home shirt. 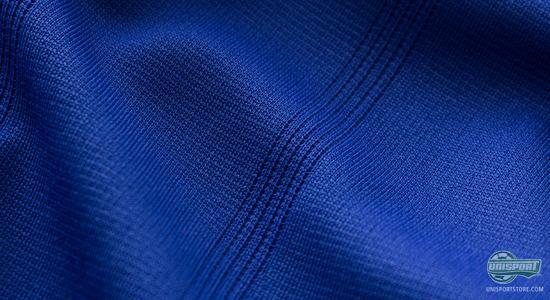 They started off by teasing us with a video, where stars like Cahill, Terry, Torres and Mata had themselves drenched in blue paint, but now you get to look beyond the veil and see the completely new kit. 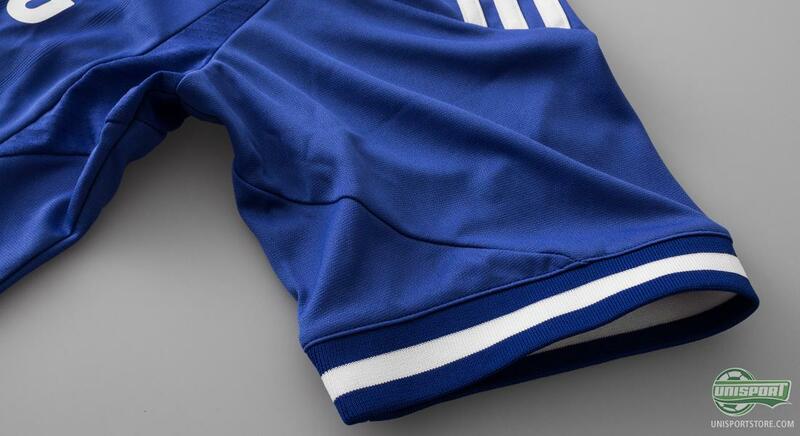 After a long  and innovative teaser-campaign Chelsea have finally allowed the paint to dry and drip off, and today we can see the end result and reveal next seasons home shirt for The Blues. 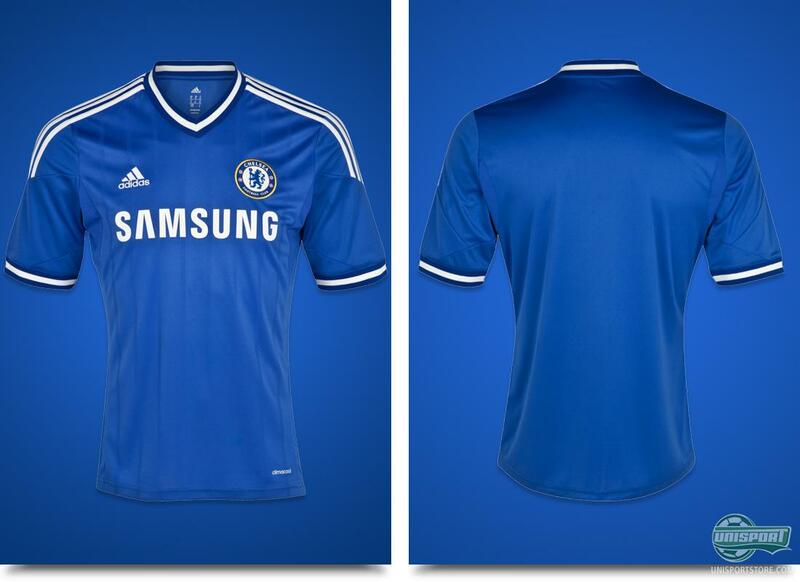 The new Chelsea shirt is true blue. After having worn a blue/gold combination the London club from Fulham Road is back in blue/white and that is something sure to warm the hearts of many of the clubs fans. The shirt itself is, as you might expect from something branded with It's blue. What else matters?, based around a regal blue colour. This is accompanied by pairs of elegant, vertical stripes of a darker shape of blue, which gives a stylish design, but with edge. 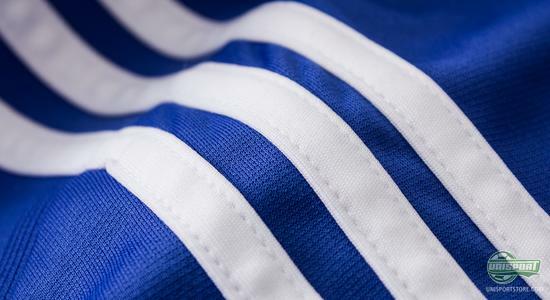 The collar is a blue and white striped V-neck, which takes inspiration from classic rugby shirts. This is quite alike the shirt from 2010/2011, where the collar was white and red. This design feature is however more than just aesthetically pleasing, it also makes for a very comfortable fit around the neck area. The sleeves have likewise been given the blue and white pattern and finishes off the sleeves in style. This gives Chelsea's home shirt a very elegant look, which really plays on the simple and stylish tangents. On the shoulders you naturally find the iconic, white Adidas stripes, which however do not cover the entire sleeve. They stop half way down, as to make space for the Premier League-armpatches and other badges worn. 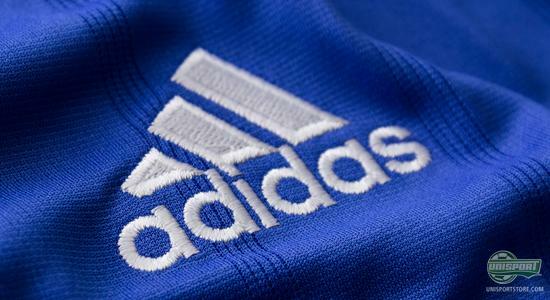 Adidas have since 2006 been the clothing sponsor for Chelsea, when they took over from the English brand Umbro, who had been responsible for The Blues for quite a while  and we will see Die Drei Streifen sponsoring Chelsea for at least five years more, as their contract doesn't run out until 2018. 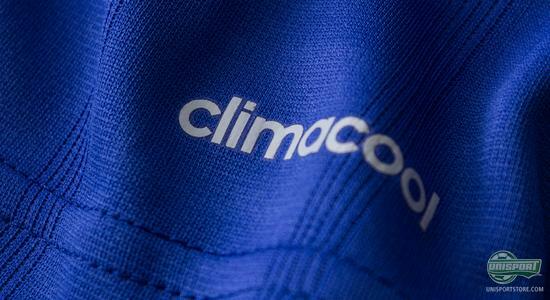 The new Chelsea home shirt is made of Adidas' Climacool-material, which makes sure you are kept dry and cool throughout the 90 minutes of a game. It transports sweat and moisture away from the skin and out to the shirts outer layers, where it quickly evaporates. This makes the shirt very comfortable to exercise and play football in. 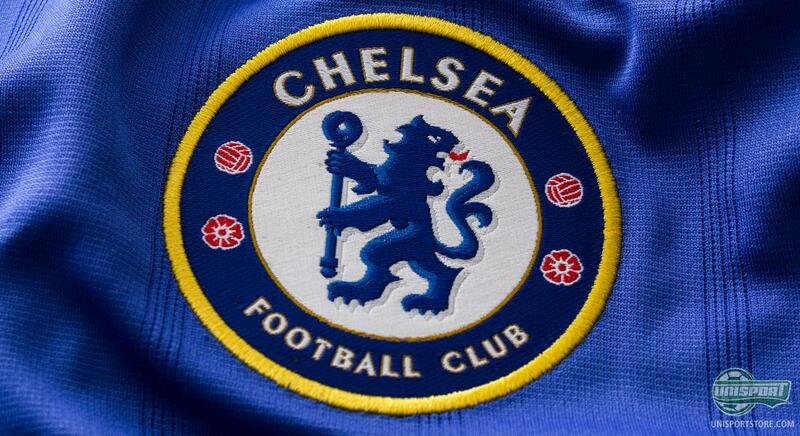 Arguably the most important part of the new Chelsea shirt, the logo, mustn't be forgotten. It was introduced in 2005 and here they went back to the old Chelsea-logo from 1953, which the club wore all the way to 1986. The logo has since been modernised, but stays true to its original style, with a royal lion holding a staff. Here at Unisportstore we have a pair of enormously dedicated Chelsea fans, who all absolutely love the shirt  even if they would have bought it regardless of design. Luckily they liked it, as you might have figured from the picture. It's blue. What else matters? 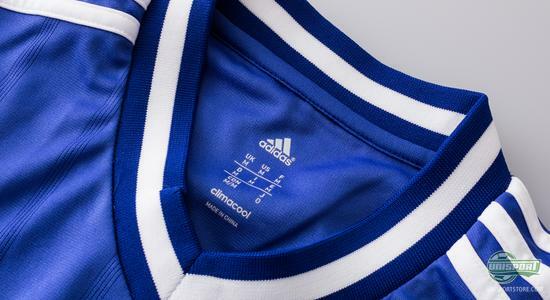 No matter if you needed to see the shirt or not, then you can now get a perfect impression of what Chelsea will be wearing, when they take to the field next season. Is the shirt something you like? Share your thoughts with us down below.